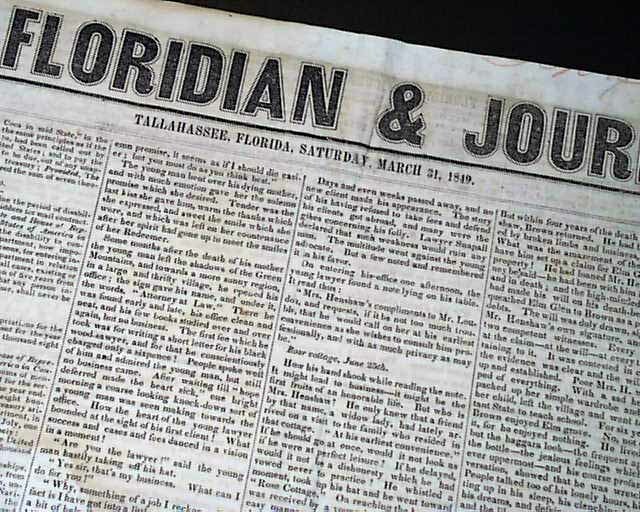 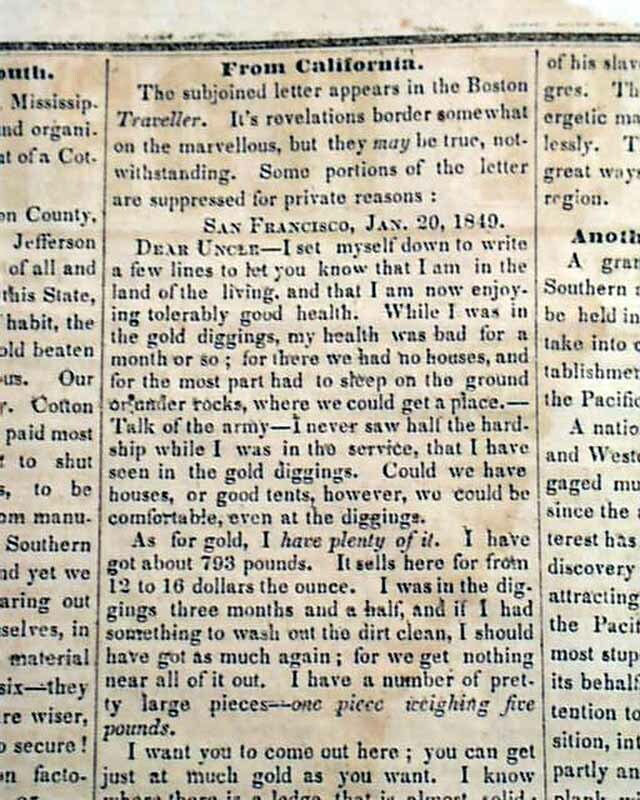 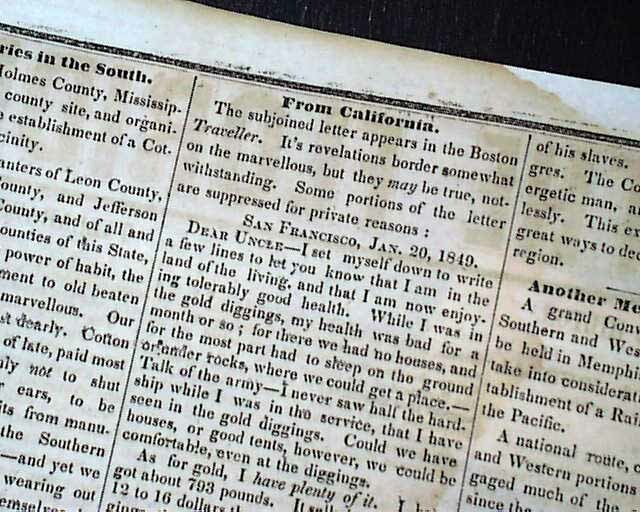 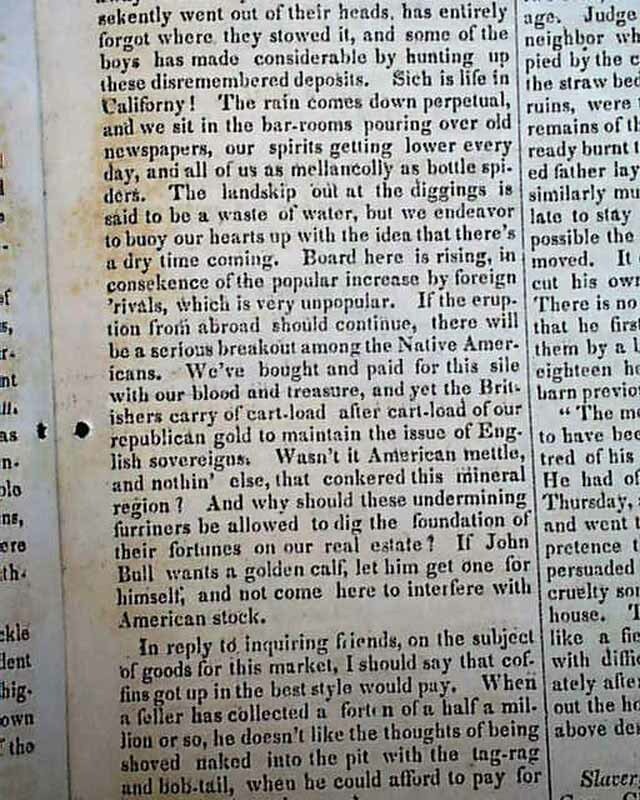 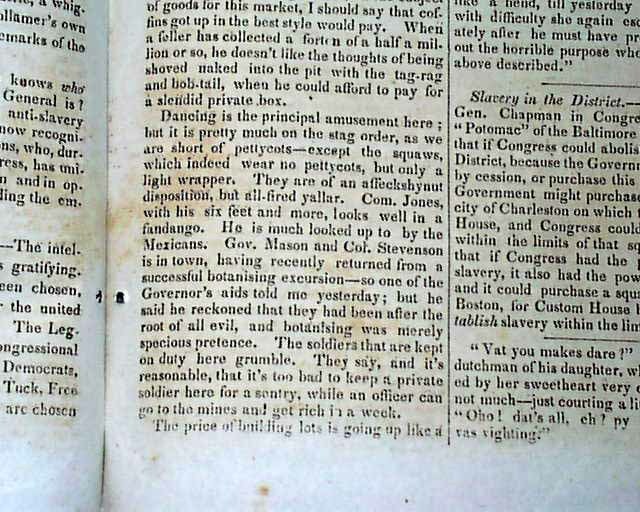 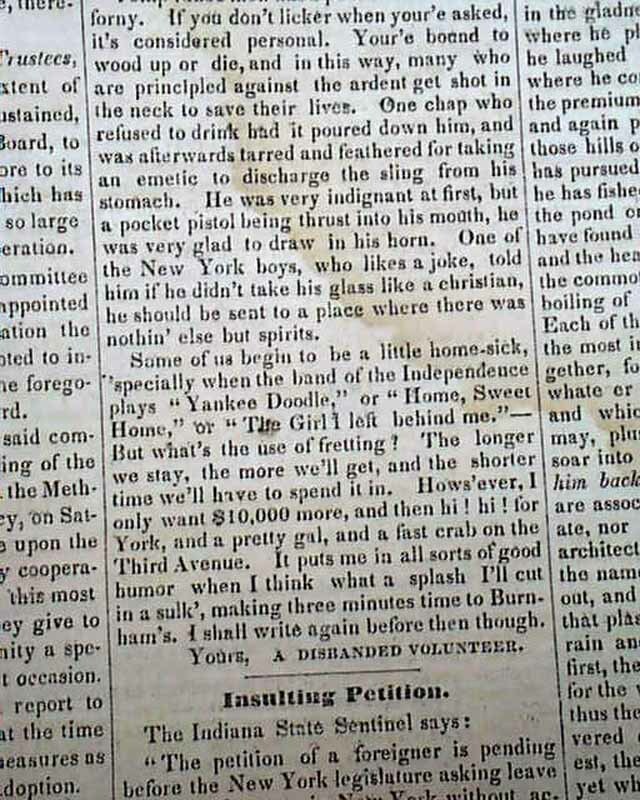 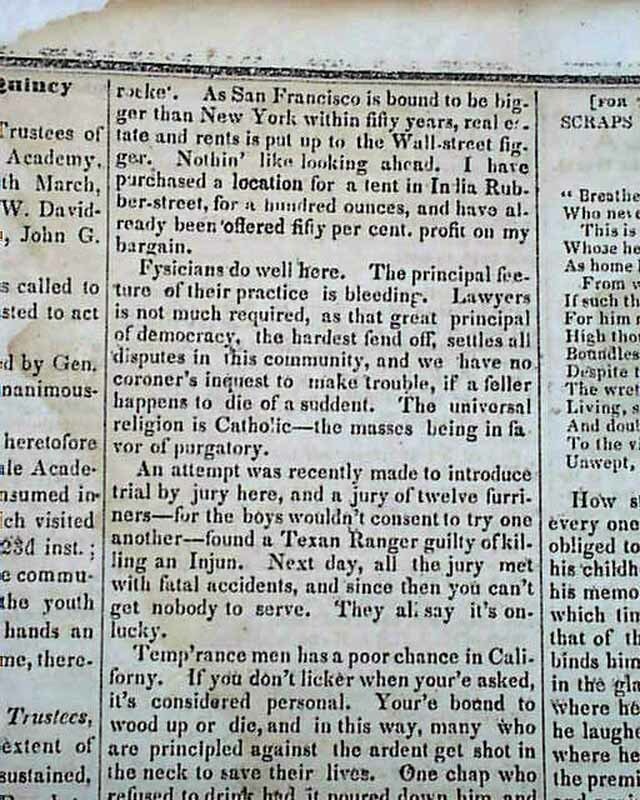 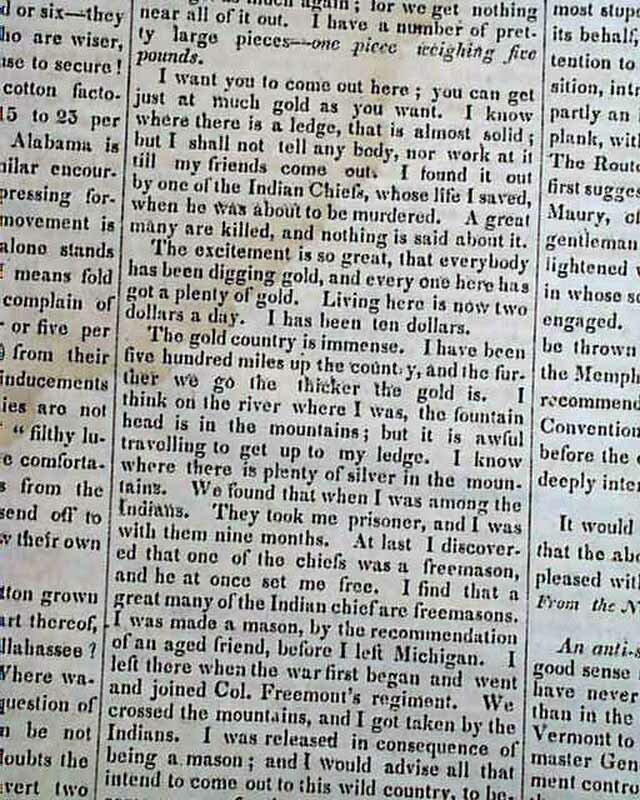 Page 2 has: "From California" which features a very nice & lengthy letter on the Gold Rush (see), including in part: "...As for gold, I have plenty of it. 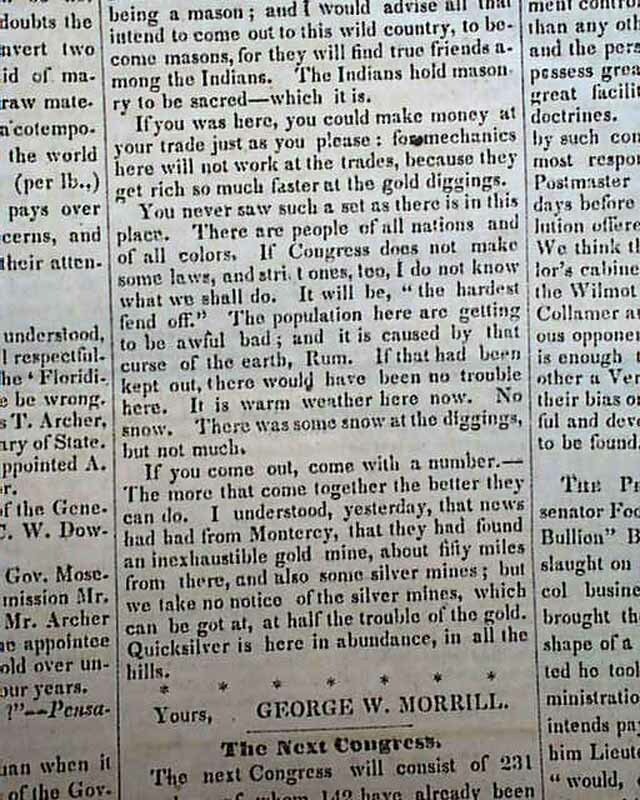 I have got about 793 pounds...The excitement is so great that everybody has been digging gold...Living here is now two dollars a a day...The gold country is immense...If you was here you could make money at your trade just as you please..." and more, signed by: George W. Morrill. 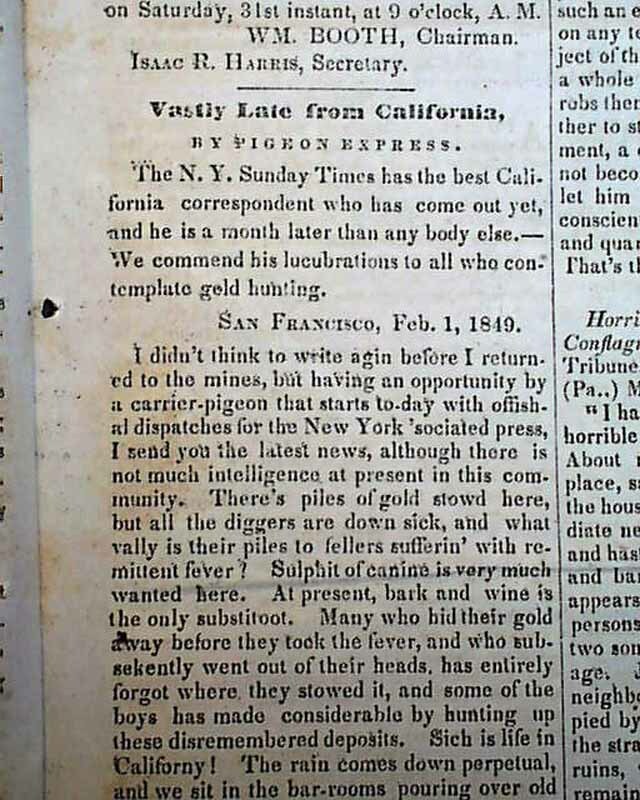 Page 2 has another report taking 3/4 of a column headed: "Very Late From California, By Pigeon Express" with some nice content as well (see). 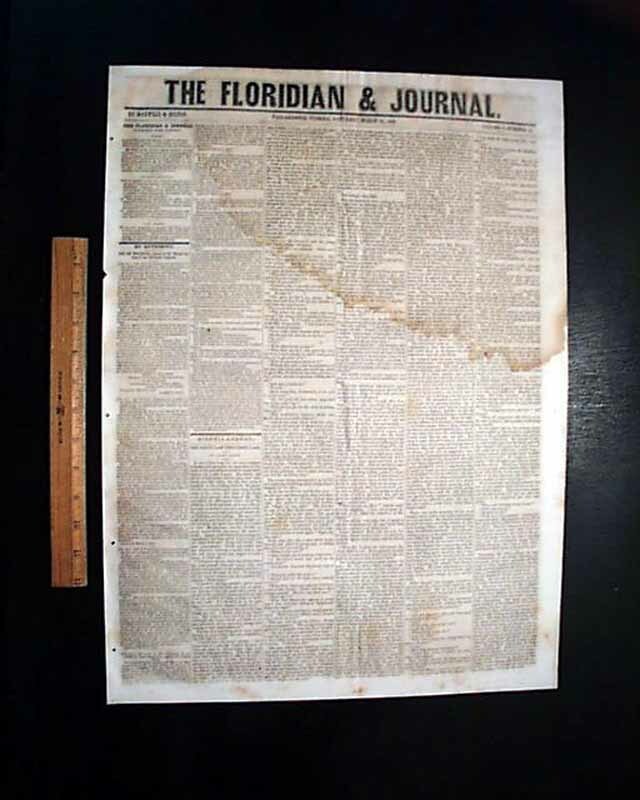 Four pages, damp staining in the top half, rejoined at the spine, nice condition.